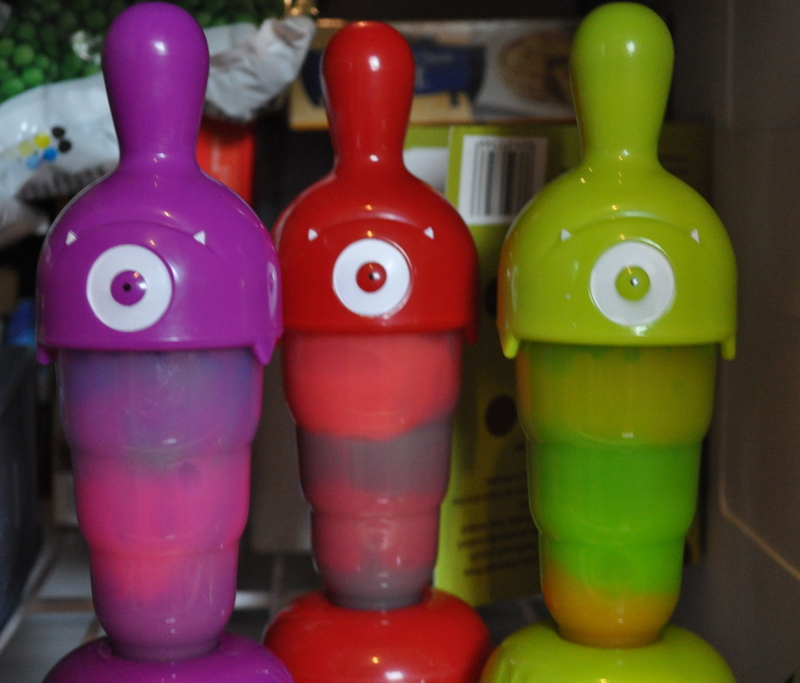 The longer warmer days heralding the spring can only mean one thing in my house …..rainbow popsicles. I started making these with my daughter last year and for her they are just short of magic. This is a simple project which is very kid friendly and always a big hit. Mix the pudding according to the directions. For the sake of my sanity and my daughters need for instant results, we typically use the instant boxed pudding. Although a homemade vanilla pudding would work as well. Once the pudding has set up to a loose conistency, select the colors you would like to use and divide the pudding equally into smaller bowls. 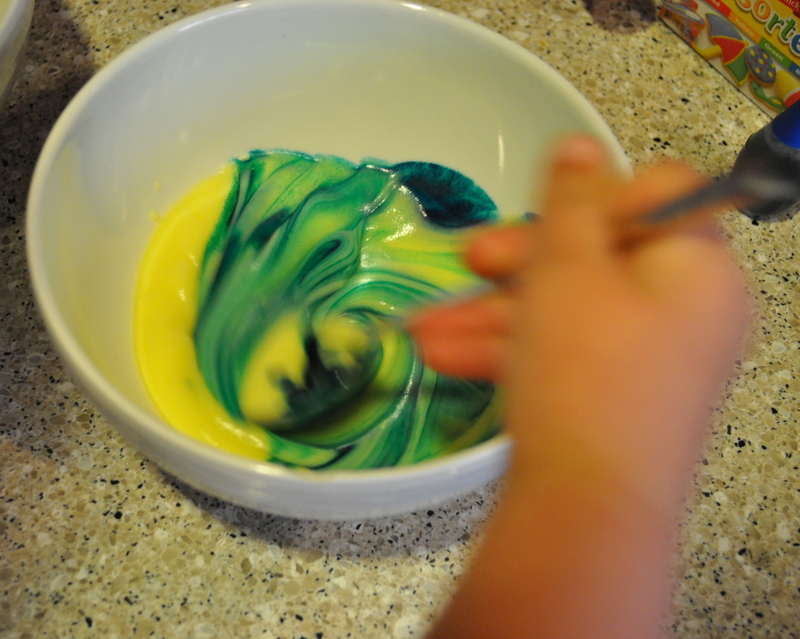 Mix a few drops of food coloring, I used 4 drops per bowl. 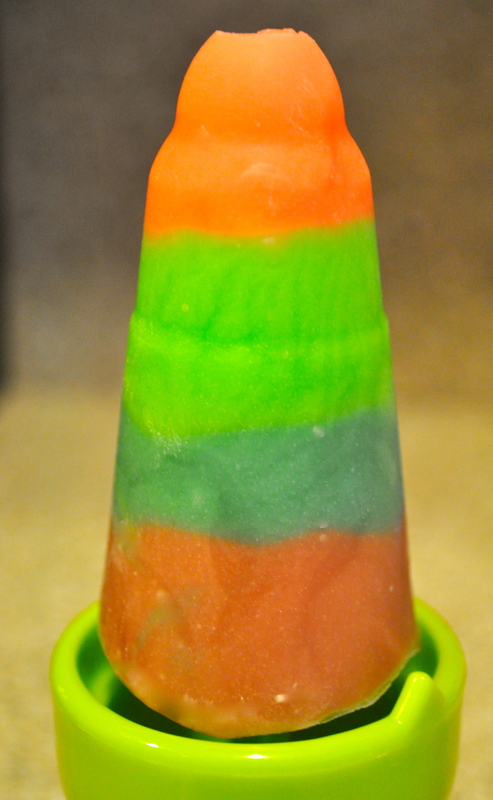 Once the colors are completely mixed in you can then start to layer them into your chosen popsicle form. I used these monster popsicle forms but we have also used small disposable plastic cups and popsicle sticks, which worked just as well. Then put them into the freezer to set. For best results leave them in overnight, even when after dinner your child insists that they are “really ready to eat”. 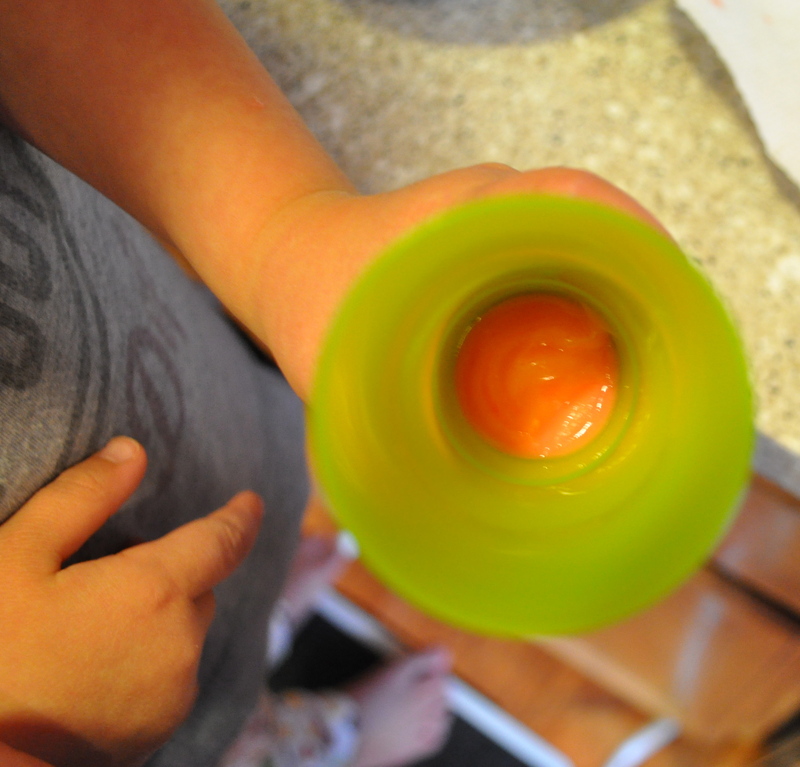 Run them under a hot tap for a few seconds to release them from their form. Take time to enjoy the small moments in life that go by so fast. 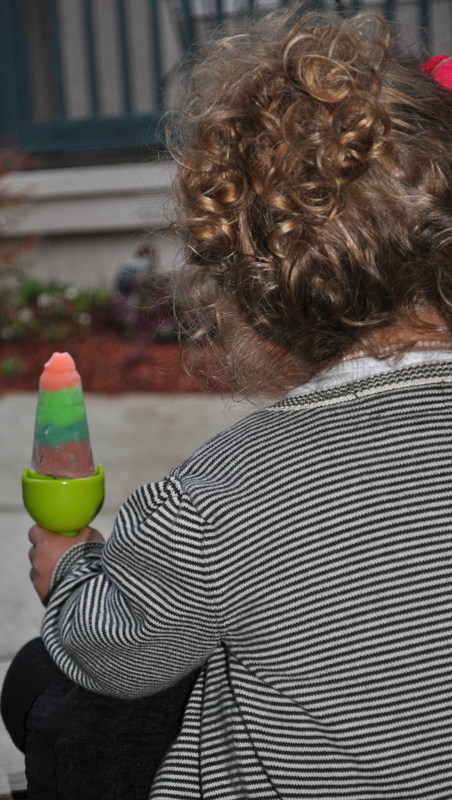 This entry was posted in Food and tagged kid friendly, popsicle, pudding, rainbow by 24useablehours. Bookmark the permalink. 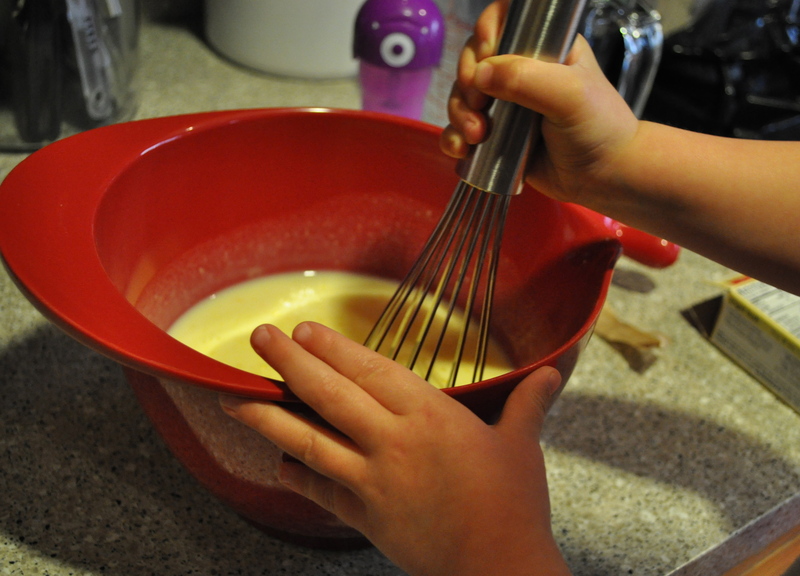 I’m always looking for ways to have the grandkids help with food preparations. This is great. Super cute idea! Where did you get the cute popsicle holders?